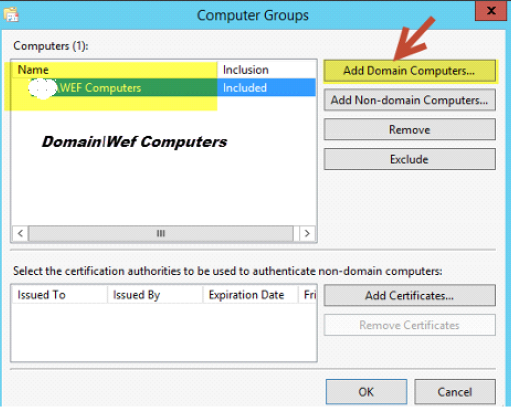 This will be a 3 part series in which we will setup a Windows Event Forwarder server which will collect event logs from Domain-joined Windows workstations based on subscriptions that we create. 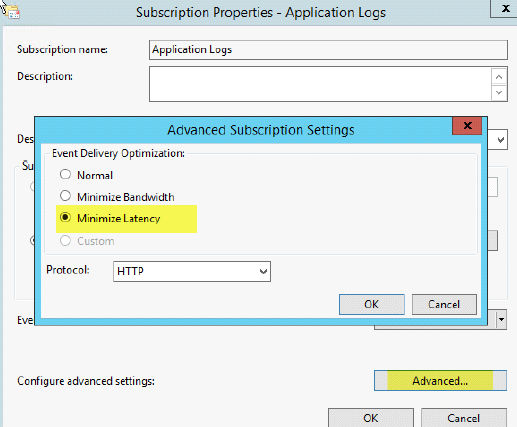 This will allow you to collect domain computer event logs real-time (they really are real-time). Here’s an example of how they would display. Once you are done with this series, you may want to send your WEF logs to Elasticsearch and visualize them on Kibana as that is our end goal. 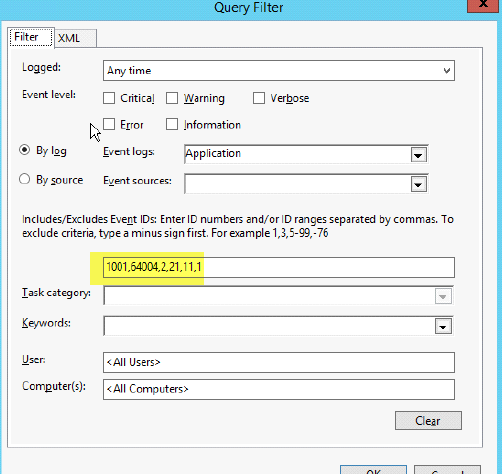 Windows Server for log collection in a domain environment. 5. Next Select Select Events and choose the type of logs that you want. (note, if you are unsure what logs to get, just check the event level boxes so you may grab all logs). We limited this to a few selected ones that we’re interested in. 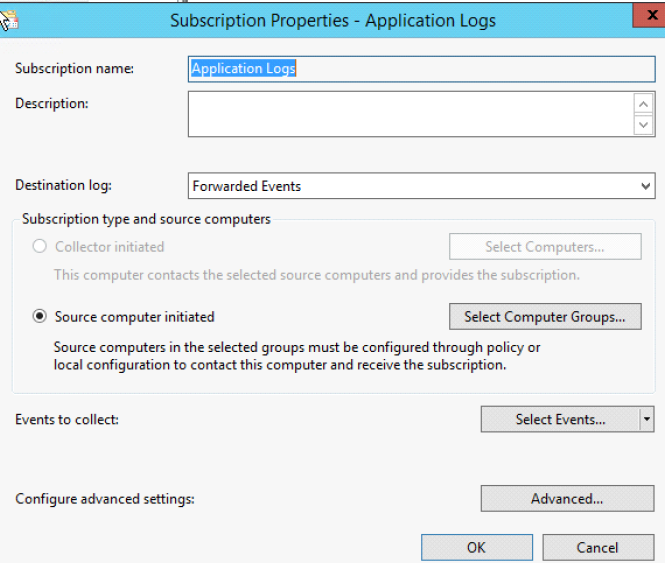 You have now created your first Windows Event Forwarder Subscription. 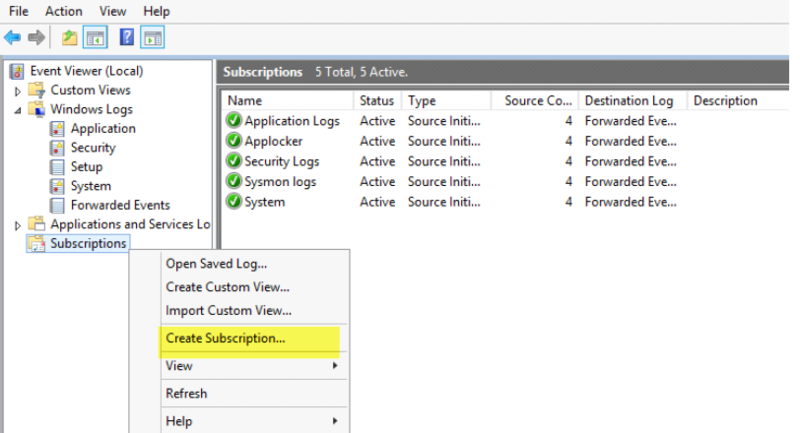 Repeat the steps for other logs such as System, Sysmon (See part 2 of this series), etc. Not sure what Logs to monitor? Below is a list of Event IDs along with a description. I have a longer list saved; however, these are the ones I believe should be monitored.